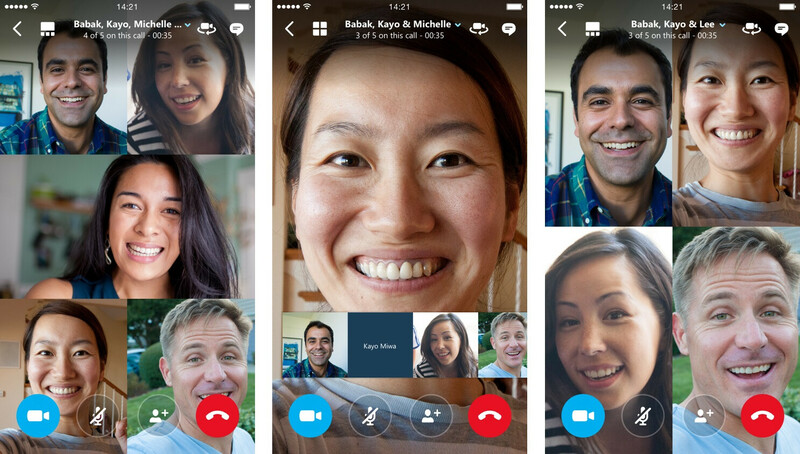 The Skype team announced an update to the popular messaging app stewarded by Microsoft. The latest development around it is making work collaboration simpler and getting more stuff done on the go by introducing native support for Office documents on Skype for iPhone and iPad (link). Skype users can now have a conversation by messaging, voice, or video right within a document. Receiving an Office document in Skype, you can just tap the file to download it and it will be ready for you to open in the free Word, Excel or PowerPoint apps for iPhone or iPad. You can also respond by IM or by call instantly, thus keeping projects moving. Skype users can now have a conversation by messaging, voice, or video right within a document. Moreover, Skype now makes it easier to share video messages. To save and share a Skype video message you love, you can just tap and hold the message, save it to Photos, and share with friends and family. Speaking of videos, Microsoft announced that group video calling will start rolling out in the Skype iOS and Android apps. Initially, the capability is going to be available to Skype users in North America and western Europe from today, but full worldwide availability is planned for the end of March. Skype's mobile video calling feature will support up to 25 participants, 1080p-resolution broadcasts and flipping between the front and back camera. To make large conference calls possible on the mobile screen, Skype's video chat team implemented a special user interface, visible above. A broadcast view is always pinned to the lower right corner of your screen, and as more people join the conversation, the call's grid view dynamically adjusts to show you as many participants possible. Once you hit more than seven participants, the display re-arranges itself to highlight the person speaking by default, while the other participants are lined up on the bottom of the screen. You can swipe through that lineup, find an individual participant, and "pin" them to the screen. The new app also makes it easier to invite people to your group who you might not already have as a Skype contact. Using the default sharing tools found in iOS and Android, you can send someone a message on your platform of choice, asking them to join the Skype call. For example, you invite someone over iMessage, and when the recipient clicks, they're automatically added to the Skype group video call without having to add them to your contacts list. So it's more like hangouts now.